Rhis is the dollhouse kitchen food 4 bottle milk with basket, the Dollhouse Miniature milk has arrived! Everyone knows that the freshest, best-tasting milk comes from a glass bottle and is delivered right to your door. 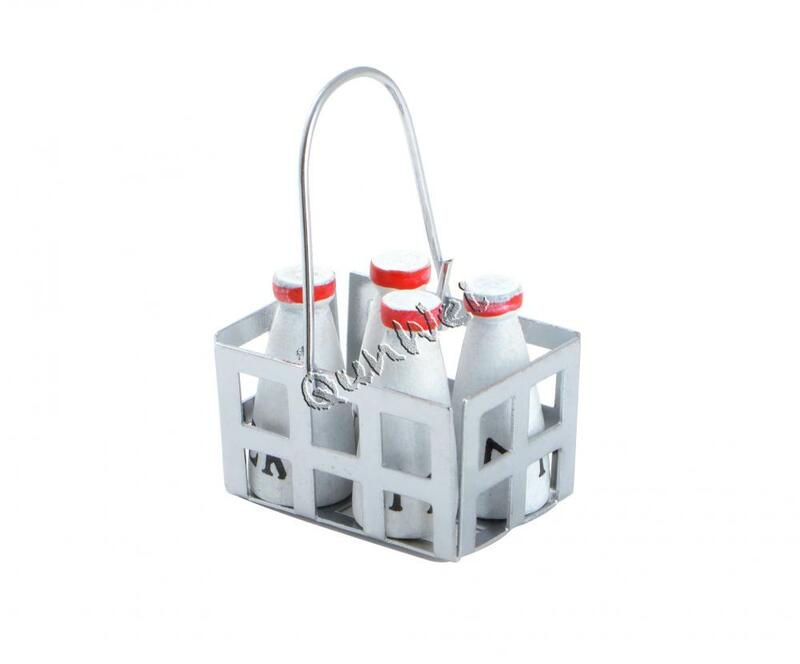 Oh, the good old days... Just like this Miniature Milk bottle and miniature bottles with basket. It is the perfect morning for a hearty breakfast with this set of Dollhouse Miniature Milk Bottles in Basket! Place this on a wee kitchen table or counter, and let it bring your miniature scene to life! Dollhouse miniature are incredibly life-like, scaled-down accessories that give dollhouses a variety of avenues and enable them to display domestic, recreational, and authentic human affairs. There is an unbelievable variety of items-ones you probably couldn't have even thought of-for both indoor and outdoor activities. The attention to detail in these miniatures is outstanding. You'll want to collect them all! Crate made of metal, bottles made of painted wood. 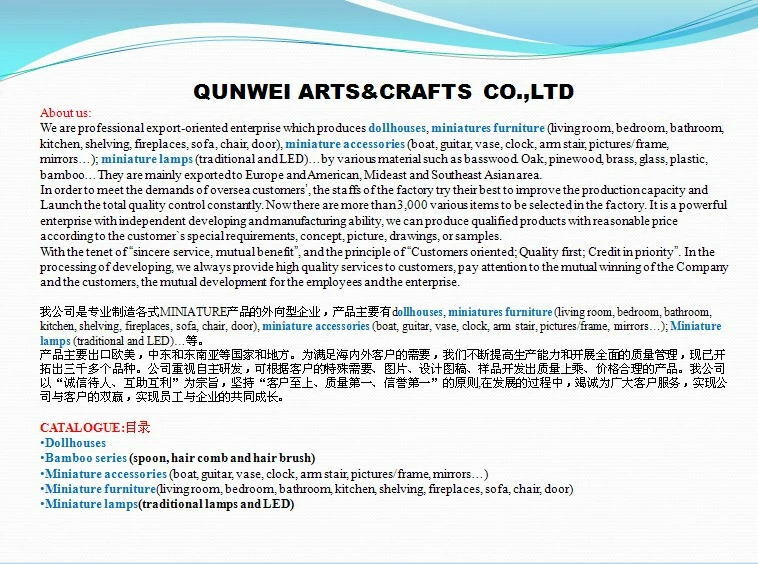 Looking for ideal Dollhouse Miniature Milk Manufacturer & supplier ? We have a wide selection at great prices to help you get creative. 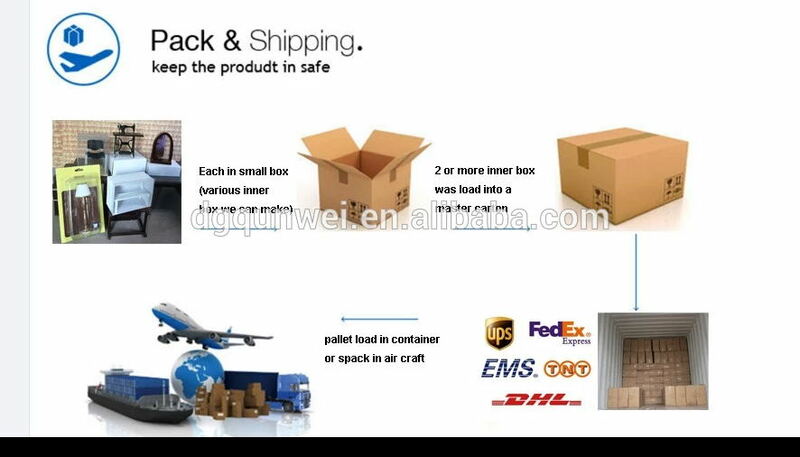 All the Miniauture Bottles with Basket are quality guaranteed. 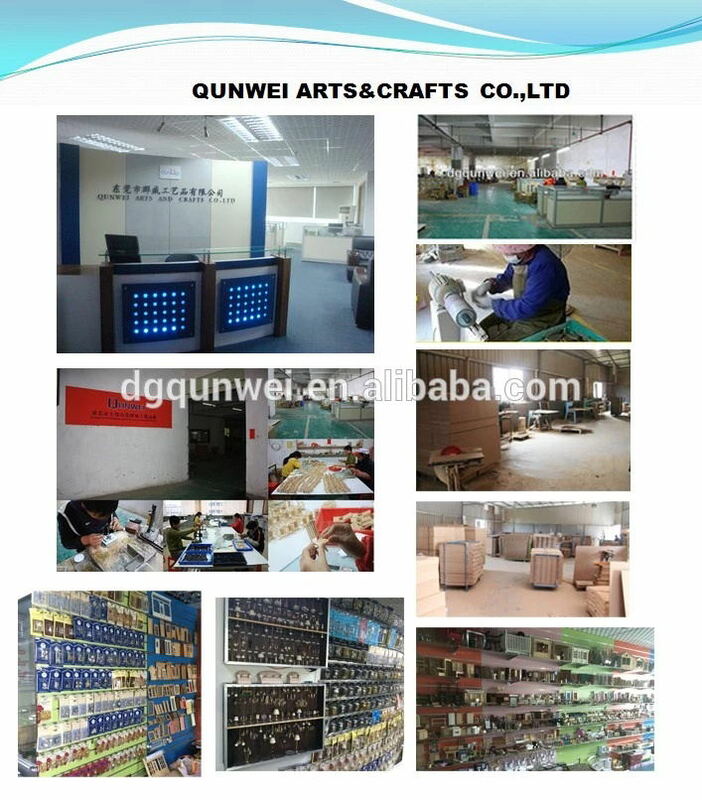 We are China Origin Factory of Miniature Milk Bottle. If you have any question, please feel free to contact us.